Rong Jiang: In your new book “After Photography”, one of your arguments is that digital photography is not an evolution, but a revolution. Why is digital photography not just another stage in the evolution of photography, but a revolution? Fred Ritchin: It’s what is called a “paradigm shift”. It’s a shift of model. Even though digital photography looks like traditional photography, such as use of camera, and electronic sensor which is like film, it’s actually a very different way of thinking about the world, the media, and communication. And the results are very different. What have been concealed so far are the differences, in part because digital photography hasn’t yet become itself. So for the moment, we are confusing ourselves by thinking that it’s just a more efficient variety of photography when in fact it’s a very different medium. RJ: Yes, as you have stated, digital photography has begun to move “into another medium, or more precisely into an interactive, networked multimedia, which distances itself from conventional photography.” What are the major differences between digital photography and conventional photography? FR: Like all analog media, conventional photography is a continuous medium. It has continuous tones. It’s based largely on Newtonian physics. It’s logical. Digital photography is discontinuous. Its pixels are discrete elements. You can change any pixel one at a time if you want. You can’t do that in film. In that sense, it can be rearranged. It’s like a mosaic of possibilities. And because it exists in its virtual state, it can be easily networked over distances. The data of a digital photo can be output as music if you wish. That’s not possible to do with a paper photograph. So there are many differences which in some cases may be trivial. But as time goes on, people will see how extraordinarily different it can be. Conventional photography resembles painting more and more, because it is more of a fixed and permanent medium. It has a more singular view of the world. But digital photography is more like a quantum or cubist medium so that you could see from multiple perspectives. So in a sense it exists in parallel universes. It’s not only one person with one camera looking at one scene any more. RJ: So conventional photography has a more singular view while digital photography has more perspectives. FR: That’s right. The conventional photography has a more singular view so that you know this is a Cartier-Bresson photo of a certain place at a certain time. But as for digital photography, take a software like Microsoft Live Lab’s photosynth, for example, you could find thousands of images taken at the same place over decades and make a three-dimensional model of it. And that’s very different from a singular vision. So in a digital and virtual state, it’s possible to see what was like a decade ago. It’s even possible to photograph the future. So it allows one to play with time, space, perspectives and authorship. It’s a much more playful medium. RJ: One of the names you’ve given to this new medium is hyper-photography. How do you define this term “hyper-photography”? FR: We have “hyper-text”, which is a non-linear narrative. That’s a narrative which includes not just the beginning, the middle and the end (there may be no ending), but there are multiple pathways one can take. So hyper-photography begins to acknowledge that there is not a single truth of a situation. For example if I photograph you right now in one image, people would say that’s him as if there is a single truth. But we know that’s not true, because we know you are much more complex than that. If I take many photos of you from all kinds of perspectives and from different times, people would ask which one is him. Then we would know that they are all you and they are not you, because there are many possibilities of you. So it’s like Quantum Physics which posits many probabilities as opposed to simply what is. RJ: As you know, German philosopher Walter Benjamin in his 1936 essay “The Work of Art in the Age of Mechanical Reproduction” argued that by making many reproductions, “ it substitutes a plurality of copies for a unique existence”, diminishing the “aura” of the original. So the “aura” of conventional photography is created by the original negative which cannot be reproduced without losing some details of the original image. Whereas, the digital copy of a digital photo is indistinguishable so that “original” loses its meaning. Do you think digital would reduce the “aura” or enhance it? FR: I think what digital photography does is to increase the “aura” of life, but not privilege the singularity of a space. The sense is that you can be a part of life that is happening all around you in different ways you don’t even suspect. So it opens up a possibility of both confronting and imagining the visible universe and the invisible universe, even potential universes. To me, it makes life more complex, exciting and dynamic. Therefore, in terms of a singular object, digital photography doesn’t give a sacred sense of singularity, but it gives a sense of multiplicity, in which there is also “aura”. Benjamin’s argument is that it’s the reproduction, in a mechanical world, of thousands of pictures from one image that diminishes the “aura”. But here in the digital world, what we are doing is to have thousands of different pictures, conceivably, of one space and one time or of multiple spaces and multiple times. To me, when I think of digital imaging, I think of so many possibilities that I see, in every space and every time, richness that I have never seen in a mechanical photography. In a sense, conventional photography would say that this is the way it was. But digital photography says this is the way it might have been. And that’s a big difference. RJ: Is it because that the world has developed to such a complex state that conventional photography is no longer sufficient to depict it? Or is it the invention of personal computer, the Internet, and digital technology that have brought about digital photography which you also name as Photography 2.0? FR: It’s dialectical. Often unconsciously we know that our technology is not sufficient. We invent new technology, which gives us new ideas and enables us to articulate what it was that we have been thinking about the world. One way to think of digital photography or a digital medium is that maybe now we can visualize stuff we knew was true, but we didn’t have the tools to show it before. Now that we have the tools, it helps us to advance. That’s what is so exciting about it. People think it is marketing or simply technology that are important. But technological innovation reflects our consciousness. RJ: You think that Photography 2.0 is an offspring of Web 2.0. Both of them can create a virtual community in which viewers are not just the passive receivers of information, but also providers of inputs to the original text or to the meanings of a photo. In this way, the conventional role of a photographer as story-teller would be reduced or not? FR: Yes and no. Roland Barthes had the idea of “active reader”. So in deconstructionist theory, any text we read, we become the collaborator. We are the co-author. Whether that is acknowledged or not, it happens. So Web 2.0 acknowledges the fact that we are not just readers, but also the co-authors of meanings, because we add or edit texts like in Wikipedia. So instead of an encyclopedia telling us what the world is, with Wikipedia, we help to build the encyclopedia. The question is in all fields, where is the singular author? To me, there is still authority. Sometimes, it is constructed differently. In journalism, it used to be the professional reporter. Nowadays, if there is an earthquake, it may well be someone who has survived the earthquake. If he has a blog, he is the authoritative voice at that point. So the question could be asked in many ways in arts. What does it mean when we all do arts together? We still have singular artists who do art as well. It doesn’t preclude the fact for a singular artist to make important contributions; even if we have thousands or millions of artists, there is still pretty of room for a distinguished artist. But we do have new pathways and new possibilities: you can go to You Tube and see millions of authors. Or you can go to the cinema and see one author. You still have a choice. One is cheaper and the other is more expensive. One is a certain kind of community. One is a different kind of community. But we have room for all those authors. RJ: This is the dilemma we are facing. With Flickr and YouTube, everybody is uploading so many photos or videos every day. We are sort of like being swamped in this sea of information. Without a filter like a more authoritative voice as we used to have from photo editor, critic or curator, it could be more difficult for us to find out what is exactly we want to have, even though we could have more perspectives and more stories. FR: This is the same thing with a newspaper. It used to have a front page which millions of people read. Now with so many blogs and other sources of information, newspapers in this country are going out of business. There is no central front page that occupies the same space. What I would suggest to a lot of young people who want to become photographers in a post-modern world is that they can become photographers of images. They are the ones who frame what is important on Flickr. They can say that these 50 images need to be looked at today so that we are not swamped by thousands or millions of images to look at. That is a new kind of job definition: a picture editor or curator in a Web 2.0 world who would filter the imagery as a service to the public. RJ: In the past, we used to see the same image on the front page of newspapers around the world, for example, like Nick Ut’s image of the napalm girl, it created a great impact on a situation like Viet Nam War. It created the power of photography as well. Nowadays, it seems to me that the power of photography can be reduced because we have so many means of disseminating photos. FR: I think the power of photography has been reduced for the last 20 years. 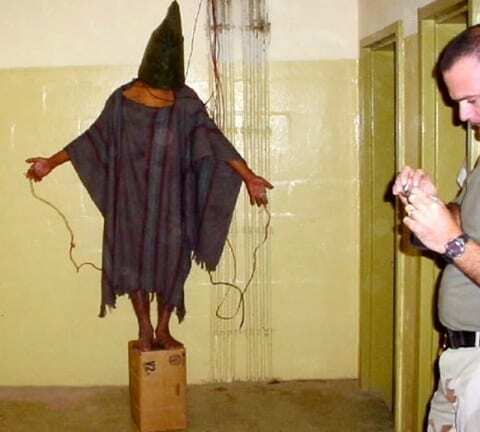 Like in the war in Iraq, besides the Abu Ghraib images of torture, which images have really affected the society? And generally when I ask that question, people think of none. That’s very different than the Viet Nam War. The American economy and the world economy right now have collapsed, but where are the images that help us understand that? It was clear in the 1930s that the images of Dorothea Lange and others helped us understand. Now images don’t do that very well. So I don’t think it is simply an issue of digital media, because I think way before Web 2.0 the ability of photography to have a major impact on society had already been reduced in the 1980s. If anything, video has had more of an impact. Right now I see very little meaningful photography being shown in print media or in digital media that is successfully moving large segments of American society to react to important social and political issues. RJ: New means of disseminating images are also opening up new possibilities. As you mentioned just now, video seems to be better received than a single image now. Streaming media is a new way of combining a single still image with moving images plus narration or music and in future, we may even add smell onto it. Do you think this would be one of the main means for photographers to disseminate their works? FR: In a sense, what we are talking about is the oral tradition in societies, in which people talk to each other and decide together what the reality is. The ability of web or photography to be done by so many people means that instead of somebody at the top telling us what is going on, all of us together have to decide what is going on. That’s what is beginning to emerge. So whether it’s a photograph or video or hypertext, what we cannot do is assume that Nick Ut’s contemporary equivalent would photograph a girl burning from napalm and we would all change our ideas on war. I think that this image would be one of many different voices in a community making up our mind together. So far what we have not been able to do is aggregate that community. We don’t know how to synthesize it; communities on the Web are often very splintered according to special interests. That is where the experiment has to happen: how do we create community for the common good. In a multimedia world, it is difficult to assert that photography is better or worse than video. They are just different mediums doing different things. They are both important to do. The new digital camera now can take high-definition video. For a long time this hybrid camera may make things worse, because people would do neither one well. But we will get to a point where there will be a new and emerging medium as well as older media. People will experiment in all kinds of different ways with media as we try to decide what is really going on in the world. But a key thing is how to network it and put it all together in an intelligent way so that people can see various points of view, be it professional, amateur, local and outsider, and try to figure out what is happening in the world from multiple perspectives. That is an exciting challenge for the next decade as people try to figure out how to do that. RJ: The conventional wisdom is that single image stays longer in the psyche of viewers than moving images. But it seems to me right now that is not true any more. FR: If you put a single image on the CNN website, it may be gone in a few hours and be replaced by other images. It’s about speed and replacement. In the context of a web, it’s not a single image any more, because it has little status. It’s only a part of many media that is going by us very quickly. If you had put Nick Ut’s photo on a website for a couple of hours, many people would not have seen it. That’s why I think for the moment, video has a more impact on a screen, because it lasts longer. The paradox is that the still image used to last longer on the mind of a viewer than video. But now on a screen you can look at a video for about three minutes which is longer than you would look at a still image. If you look at the way people view an image on the screen, they stay for a few seconds and then the still images are gone. RJ: So is it true that now could be a golden age for photo essay? In other words, in-depth documentary photography like what Susan Meiselas has been doing, especially with her interactive website called aka Kurdistan, could be more powerful than a single image? FR: I think you are absolutely right. And that’s what I am aiming at. Again, this is a paradox. Twenty years ago, young photographers complained because their works were filtered and they could not get published in certain magazines. And they could not get a book published and they could not get an exhibition. Anybody now who is affluent to any degree can publish a website. They could put their works together. You don’t need a million-dollar printing press or permission from a corporation to publish your works. But the paradox is that since the Web started 15 or so years ago, there is very little interesting and innovative stuff happening. And people are still complaining. They complain now that nobody sees their websites. Or there is no money in a website. Both of these are true. But we really need to take upon ourselves to invent these new models just the ways film-makers do experimental films for small audiences. What we need to do is to build interesting models of photo essays that other people can borrow and use. But we haven’t gone very far at all in terms of experimentation and invention. And I think people in China or anywhere else should be at the forefront of the inventions. They should not be waiting for the US to do it first, because this country may not have the imagination to do it first. My invitation to anybody in the world is to start creating these models that are different than the paper-based models that we had before. 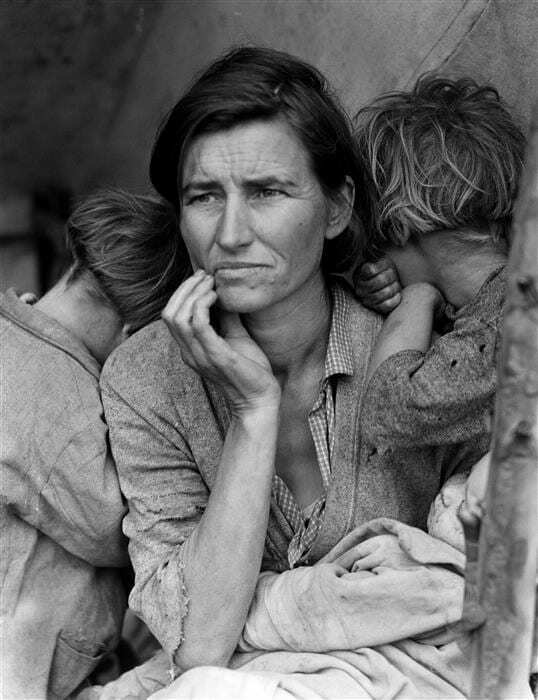 Now people are talking about creating images like “Migrant Mother” by Dorothea Lange or other such images by the Farm Security Administration. But why do we expect that if we do the same image in the same way 70 or 80 years later, it is still going to have an impact? Why should it? Paintings have changed dramatically since 1930s. So has advertising. As for photography, if we photograph a poor person, is everybody going to feel bad? It’s not going to happen. People have seen too many of these images. RJ: So we are now faced with the “fatigue of compassion” and are swamped by images. I read in the New York Times recently that MIT is going to set up a lab to find out new ways of story-telling, because even in China today, if you go to a Men’s Room, you may find a screen in front of you while you urinate, giving you a short advertisement. People are so short of time. They are so impatient. And images are everywhere now. They will invade you, even though you don’t want to look at them. So they are talking about finding new ways of telling a story, because people don’t have time or patience to see a movie or read a story from the beginning to the end. And the traditional ways of telling stories may not be valid now. On the other hand, with Web 2.0 and hyper-photography, we are now able to put the cursor on a detail of an image, it would bring us to another link and find another story. So do you think it’s really a matter of finding new ways of telling stories? FR: I think it’s also Web 3.0 we are talking about now, which is a so-called intelligent web. But there could be many ways of telling stories, both linear or non-linear ways. There is also a political dimension to all of this. How do you combat “lack of compassion”? It’s not the same society any more. So in terms of information, knowledge and political action, we really have to look at a whole multitude of media strategies. Over the past 8 years of the Bush Administration, we didn’t have enough force in the press to tell the government that it was wrong. The press is weakening dramatically. So in that sense, we have to reinvent the moral and political forces to say to the government this is right or wrong and to make people more aware of issues. There are so many things to be done now that we are not thinking about. RJ: If you say that the press in this country over the past years has been falling apart. That’s pretty scary, if we think about those countries which are not as democratic as this country. You also mention in your book that photography 2.0 could be used as a tool by authoritarian regime to control its people. On the other hand, blogs, especially in China, has been playing an important role in creating public opinions and finding out fake photos. So isn’t it true that like everything else has two sides of a coin, photography 2.0 could also have both positive and negative impacts? FR: I think like you said, everything has two sides of a coin. What we have to do is to figure out how to maximize the good and minimize the bad. Instead of waiting for manufacturers to come up with new models, it is important for the photographic community and any other community to say what they want and what they need. We need leaders to come up with new experiments and new ideas. How can we do it better this time around? Now we have extraordinary digital cameras which can transmit images in seconds. We have new tools and new possibilities. But how do we use them, not just in more efficient ways, but in more intelligent ways? RJ: In the past, one of the functions of photography is to serve as evidence. Now with the invention of software like Adobe Photoshop, it’s so easy to manipulate a photo. This evidential function of photography seems to be diminishing. This could be one of the negative impacts that digital technology has apparently made on conventional photography. So do you think that the perceived credibility of photography, to whatever extent it exists, can still be retained, especially for news photography and documentary photography? FR: In 1984, I wrote a piece in the New York Times Magazine about the coming digital revolution saying that we have to be certain that we ensure the credibility of photography. For the most part, in this country, newspapers have been concerned about it. Magazines are much less concerned, in part because they often feel that if you can make a nice cover, retouch it and change it, they would sell more copies. That’s one issue. Another issue is the staged photo opportunity such as of George W. Bush’ “Mission Accomplished” in Iraq. In many ways, that was a lie. Also, it was a manipulation of readers. So although there was an actual photograph, in fact it didn’t have any credibility. We are more worried about the digitally manipulated photograph than we are about the manipulated and staged event. They are both manipulations. And I think we have to consider them both at the same time. I don’t see a time when government would stop manipulating us. And I don’t see Hollywood, business people and celebrities refraining from manipulating us. One of the things we have to figure out is how we can use images to show the manipulation so that a reader doesn’t believe what is being shown. 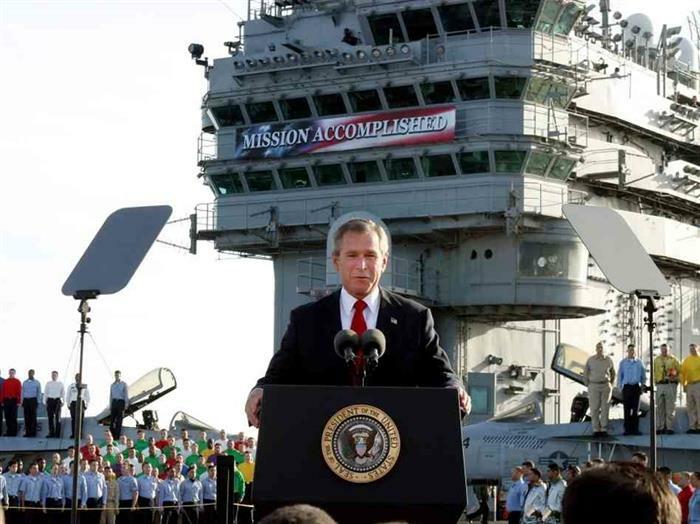 As for the image of Bush’s “mission accomplished,” there should be a second image under the first on the screen so that when you put the computer mouse on it and roll over, there is a second image of casualties in the Iraq War, asking the question “Is this really mission accomplished?” So instead of a photograph being thought of only as an answer, the photograph can also be thought of as a question. I think that would be smarter. RJ: So is there a line that documentary photographers and photojournalists should not cross in using Adobe Photoshop or any other software to do the post-processing of a digital image? FR: In terms of ensuring the credibility of pixels that they are not moved, various efforts are now being made in many directions. There are various ways to restrict manipulations. There could be more rules about it that are known to the public in terms of what is a counterfeit photograph, particularly in certain contexts such as journalism. But what surprises me is that it’s almost 20 years now since Photoshop was introduced, and in that time we have had very little effort to clarify for the reader what is actually going on in a photograph, to what extent an image is fiction or non-fiction. RJ: According to a 2005 Consumer Reports WebWatch national poll, 30% of Internet users said they had little or no trust in news sites to use pictures that had not been altered. FR: That’s the point. If we had made a greater effort 15 years ago to differentiate fiction and non-fiction, things would be different now. If you go to a bookstore and buy a novel, you know you are not buying a history book. But novels do not make us mistrust history. RJ: Talking about fiction and non-fiction, I think one of the positive impacts digital technology has made on fine art photography is that it creates more possibilities for artists to create their art works. 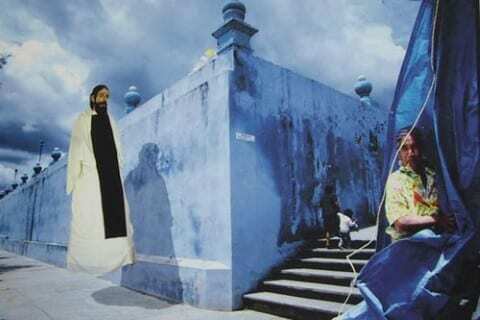 Nowadays, even painters are crossing over to the photographic field to use photos to create their works. Fiction and reality has been one of the major motifs for art creation. At the same time, we haven’t really seen any masterpiece done through digital medium. It has been pointed out that digital photography “will have to find a way to reclaim photography’s special link to reality”. Why do you think that digital photography can’t be too detached from reality? FR: What happens is that when you use a photograph in your artwork, then you are often borrowing from the credibility of the photograph. So in photo-realistic paintings, they are borrowing that kind of credibility, using the conventional assumption that what is shown in the photograph existed. That’s one of the easy byproducts of any recording medium. Photography seems to be a recording medium by which you record what existed visually. I think the problem in some of the digital arts using photography is that it might be more interesting to show a new and possible world like in the new game Spore. We could always synthesize imagery of how dinosaurs lived based upon the best available scientific evidence. But one of the challenges is to synthesize new world we’ve never visited. And digital photography or digital imaging is very good at that, because it could be convincing. We see that sometimes in movies like Toy Soldiers in which they make synthetic creatures. In terms of movies, they have moved much further away from a conventional sense of reality than in still photos. 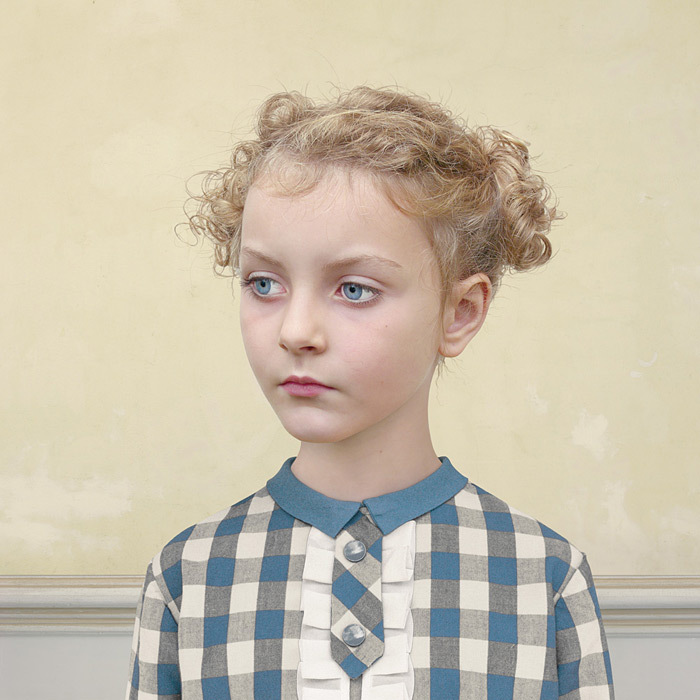 RJ: German artist Loretta Lux has used photography and digital software to create images of children in a strange world. But the children in her images look quite alienated and seem to have lost their innocence. Why then these images are well received as one of the more successful examples of works created by digital photography? FR: When you photograph a child, you often end up photographing what a child is supposed to look at, not what the child actually looks like. You have a whole tradition of what children should look like. So you end up waiting for a child to smile. 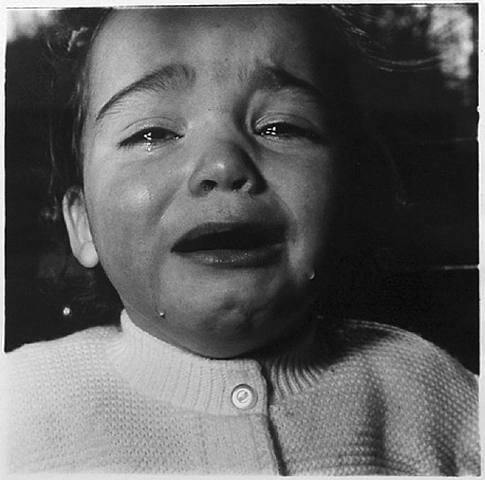 But there are people like Diane Arbus or Sally Mann who have shown us that children are much more complicated than that. They are interesting in a whole variety of ways, and sometimes they are alienated. And they are much different than the stereotype. So Loretta Lux has a new tool of digital software. She doesn’t have to wait for a child to act out in a bizarre way. 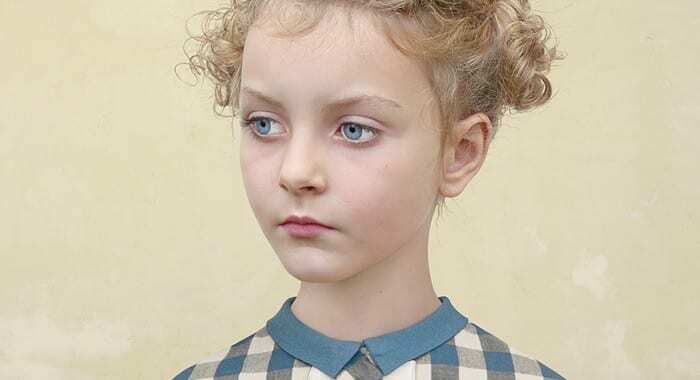 She can use the tool to make a fictional child look alienated and bizarre just the way a painter would. So the software tool allows for photography to become a synthetic medium, not just an analytic medium. And it has given her a new set of possibilities. You can also make everything sweet if you want it as well. RJ: Mexican photographer Pedro Meyer said, “The digital tools allow us to have control over what and how we can alter an image, that was unimaginable in the era of analogue photography.” He has tried to use digital tools to add his memory into his photos and call them “Magic Realism”. Do you think what he has been doing could be regarded as new documentary photography? Or do you think that future historians may not be able to tell what is reality and what is fiction in these photos? FR: It may be a good thing. If you look at some photos in the archives of the White House now, for example, you may see staged events that were presented to the photographer to make it look a certain way. Unless you have behind-the-scene photographs, showing how they were staged, you really have to ask whether this is the way it was or whether this is the way they want us to think the way it was. These are, in effect, fictions that are intended to be read as non-fictions. So I think what Pedro has been doing is to open up the process and make it obvious that this may not be the way the situation actually was, but instead this may be the way he thinks the situation was. His strategy is subjective and it’s about interpretations – all photography is interpretive. And he gives us the sense that nobody can definitively tell us what happened, because there is no single truth in any case. The usual idea of a staged documentary-style photograph is to pretend that’s the way it was when it wasn’t really like that. And Pedro is doing the opposite. He is un-staging it all and is saying that according to my dreams or memories, this is the way I thought it was. In fact, there is also a truth to that. But this is not using photography as a recording medium in the conventional sense. RJ: So now pressing the shutter is just the beginning of a story, not the end of taking a photo. With hyper-photography as you have described, viewers can also create meanings to a particular photo. In other words, this triangular relationship among the photographer as the main story-teller, the viewer and the subject depicted in the picture is now broken. It seems to me there will be more angles to this relationship. And photo and its meanings can be so malleable. Then, who is in control of the meanings in the final analysis? FR: The reader has always had to make the final judgment. Without the reader, there is no meaning. The image would just sit there on a page or screen. With hyperphotography the reader has more information and more perspectives and more possibilities to figure out the multiple meanings of an image. In my opinion, the meanings will inevitably be more complex, more nuanced and more subtle if the work in establishing hyperphotography as a medium is done in a serious way. The point of media literacy is to educate people to look at media in a much more complex way. A sad thing is that so many people are photographing with digital cameras in the old way without considering the new possibilities that are provided by current technology. RJ: With the introduction of cell phone camera and the omnipresence of digital camera, “citizen journalism” is another phenomenon. It seems to me that readers are not only the judge of meanings of a photo, but can also be a participant. As in an earthquake, the first one to take photos of the aftermath and upload them on the Internet, as it happened during the big earthquake in China this year, could be amateur photographers. Do you think this phenomenon would make professional photographers’ lives more difficult or not? FR：The first question is “what is a professional photographer?” The second question is “What should be a professional photographer in the future?” If a photographer is told to go and photograph a photo opportunity, a staged event, and pretend that he or she showed an actual event and not one staged for the camera, that to me is not a professional. It’s somebody who just is doing a job he is told to do. Obviously, many photographers have to work for organizations, and sometimes the assignments given to photographers are, in effect, to create untruths. Photography has been considered not to be an intellectual field by many people. The writers are supposed to be more intelligent, which I think is a mistake. They both have to be intelligent. So in some cases, we would do better not to follow the old model of a professional photographer. I would much rather have seen 12 amateurs photograph the President on the aircraft carrier proclaiming “Mission Accomplished” showing the situation from all points of view than I would have wanted to have professionals making the staged event appear to be real in the sense that the President wanted it to be seen as real. The war in Iraq was not over, there was no “mission accomplished,” as we have painfully found out over the past several years. But if a professional can really understand a situation and contextualize it and articulate what he or she sees in such a way that other people understand it, that’s what we need from a professional photographer. In my opinion, we are always going to need those professionals to make these kinds of images. In fact we need those photographers more than ever. RJ: With the ability of photographers editing their photos in the field and send them out to the website even without the filter of a photo editor, do you think the role of a photo editor has been reduced? FR: The role of the photo editor has certainly been taken over in many cases by photographers, which to a certain extent is good, because the photographer is there and should be able to select his or her own images. On the other hand, the photographer should not have to make those choices so quickly on the scene. They should be able to reflect, to have some perspective on what they have just experienced. I think, in the longer term, when there is time, it’s good to have an editor or curator who is collaborating with the photographer so that they decide on the selection together. The need for a photo editor will always be there. RJ: You mentioned Web 3.0 just now, even though we are still in the prime time of Web 2.0. You are already thinking ahead of Web 3.0 which you think would be more mature And a more discriminating use of contextualizing frames and filters will have to emerge to make sense of the masses of nearly undifferentiated content. But why do you think that the future “after photography, or any other medium, is not predestined? FR: Because we have a human choice. We have the ability to change our media when people come around with a really good idea. I think we have influence over our own future. It is not just fatalism where everything is predetermined. But the problem is that we don’t ask the questions of what we can do differently now. We have to reinvent the medium at this point. It’s incumbent upon photographers and artists to ask the question of what kind of future we want to have. The schools around the world also need to respond. To a certain extent, we could really invent our own future. We can’t argue it’s too expensive to reinvent media when so many hundreds of millions already have access to computers and cameras. But we can argue that we lack the imagination and the political will. RJ: Cartier-Bresson thought that taking photos is to affirm life. That’s why he thought that taking photos is to say yes, yes, and yes. Do you think taking digital photo will be yes or no, or will be both? In other words, are you optimistic or pessimistic about digital photography? FR: I think inevitably it will have to be both. For Cartier-Bresson, life is yes, yes, and yes, in part because he survived World War II. And with other people he created Magnum, which as a cooperative of photographers was meant as an affirmation of possibilities. His “yes” was a political statement as well. We have to ensure that life continues in good ways. More than that, we have to try and make it better, not only for ourselves but for the entire world. The moment in history that we are now in is a very chaotic and complex moment. Digital photography is also a very complex medium. And we have to get used to employing complexity. There are a lot of complicated problems to solve like the future of the environment, terrible wars and a devastated global economy. I think that a digital image that allows for a combining of text, sound and non-linear links, as well as linking to other cultural perspectives, will give us the complexity we need to move beyond simplified, sentimental and shocking imagery. In China for example, it would be very interesting to hyperlink the works of Chinese photographers with images by foreign photographers on the same theme or the same idea. For example, it would have been revealing to see photo essays by Chinese photographers on the recent Olympics along with photo essays by foreign photographers on the same subjects. A foreign photographer might see a Chinese laborer as poor, whereas a Chinese photographer might see the worker as becoming richer than what he was ten years ago. How would a Chinese photographer see an American athlete or tourist? I am sure that in some important ways the vision would be different than that of an American photographer. An exploration of differing cultural perspectives is one kind of experience we really have to try. In that sense, I would say yes. This is a fantastic medium. We could do great things. But if there is a surveillance camera watching us doing this interview, then I would say no. This is a terrible thing. So I think what is occurring is both life-affirming and destructive. We have to make the right choices in the ways we develop and employ our media as best we can. It is the most exciting time in history to be involved with photography. I just hope and wish that more of us will take advantage of new possibilities and do the hard thinking as to what is best for us in the future. RJ: So it’s like what Charles Dickens said in his book “A Tale of Two Cities” that it is “the best of times” and “the worst of times”. RJ: OK. Thank you very much. Posted in Interviews and tagged Digital Revolution, Fred Ritchin, Interview, Interview F, Photography 2.0, Rong Jiang, Web 2.0, Web 3.0.